Majestic Mass setting which can be used at anytime throughout the year which is scored for Congregation, Cantor with Organ accompaniment. 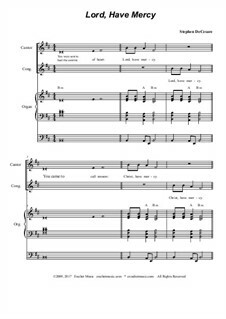 A Choir/Vocal score with instrumentation is also available on this site. Majestic Mass setting which can be used at anytime throughout the year which is scored for Congregation, Cantor with Organ accompaniment. A Full score with instrumentation is also available on this site.